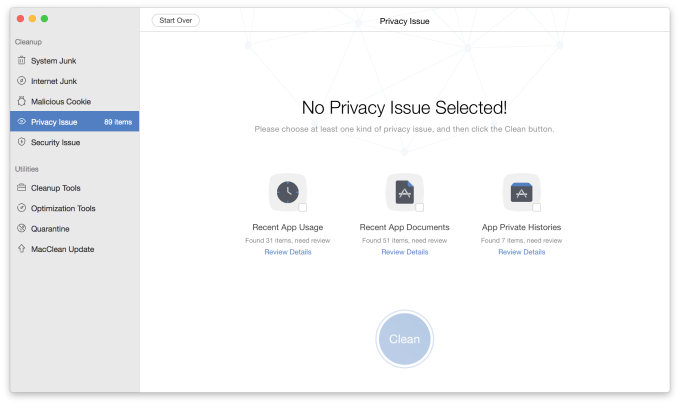 MacClean 3, an easy-to-use yet free Mac utility, comes to initiate a new round of spring cleaning on your Mac with the features of cleanup, optimization, privacy care and security protection. 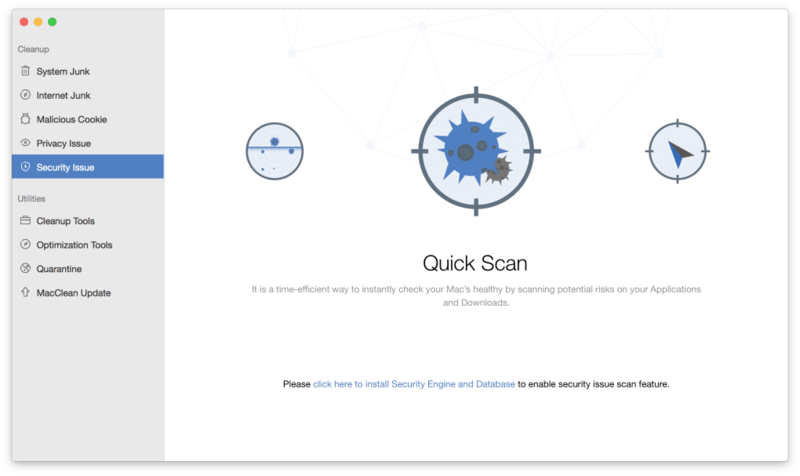 It cares more about your Mac security by deep scanning the malicious threats in your Mac, so that you can enjoy a cleaner & safer working environment. 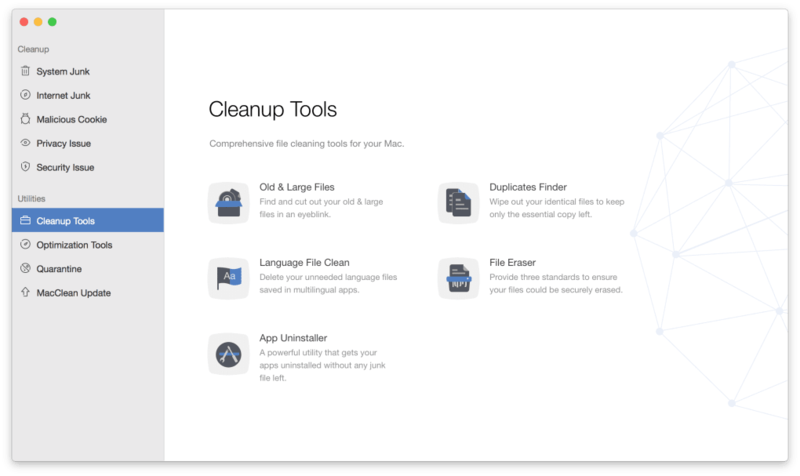 #1 Clean up and free up space on Mac - MacClean 3 scans out all safe-to-remove junks generated in your system, such as caches, log files, app leftovers, temp files, development junks, etc. It also gives a bunch of cleanup utilities to help you do cleaning with old & large files, useless duplicates, unused language files, etc. #2 Keep your Mac stay at top performance – With a set of Mac optimizing & maintenance tools, MacClean 3 removes gigabytes of unused image copies in Photos, redundant Binary junks, and unused background extensions. #3 Protect all your privacy from prying eyes - MacClean 3 erases your traces and cleans up cookies, cashes, sessions, history, saved passwords and other website data from Safari, Chrome, Firefox and Opera. It also removes your deleted iMessages and FaceTime history to ensure the security for you. 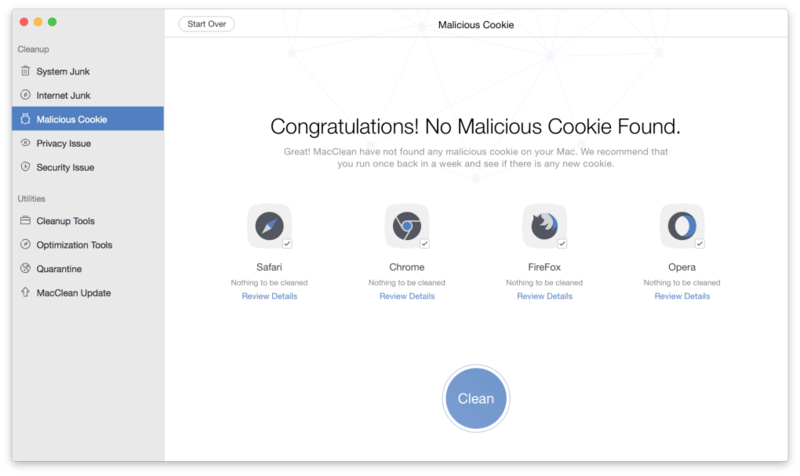 #4 Protect your Mac from being attacked – It comes to give you full protection against security threats, such as malicious cookies, malware, spyware, worms, scareware, adware, etc. You’ll always be safe from potential risks with MacClean 3. I tried to use this and instead of giving me more storage after I pressed clean, I had less. What do you think about MacClean? Do you recommend it? Why?